Avoid errors that lead to denials. 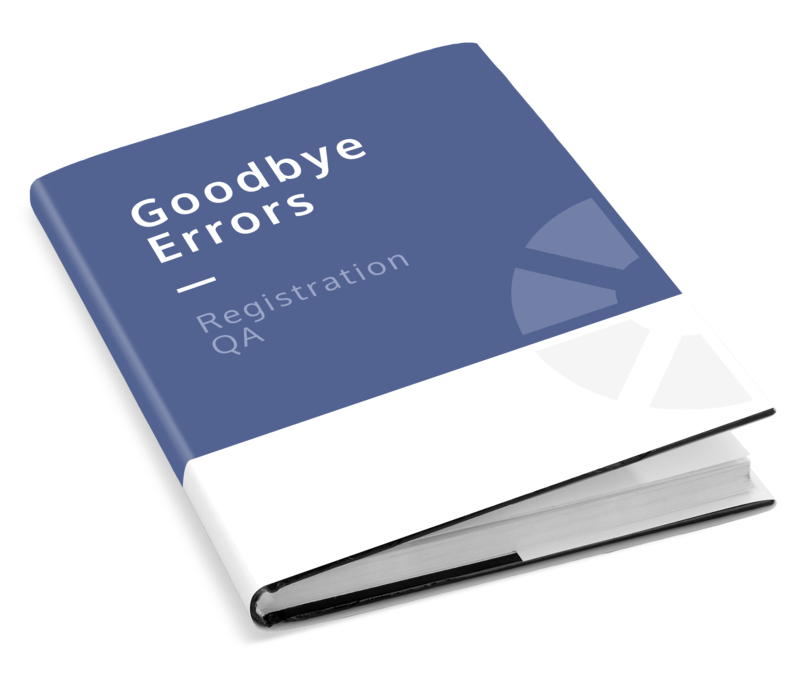 Eliminate preventable errors with Registration QA. Manually reviewing your patient registrations for every type of error is a daunting, if not impossible task. Even then, many errors go undetected until they reach billing, which results in rework and denials. AccuReg Registration QA automatically audits 100% of your patient registrations to detect preventable denials for hundreds of error types. Real-time alerts on the registrar’s work queue flag accounts that need corrections prior to billing — preventing rework and denials. Intelligent Guided Registration provides tailored scripting on how to correct issues. Embedded training is based on individual performance to address error patterns. Escalation alerts to supervisors email or text allow intervention prior to submitting claims. Performance dashboards help supervisors address development needs. Self-learning intelligence makes your RCM software smarter. Hospitals have spent millions of dollars on software systems to automate processes, but are they doing the job any better? Are your staff and systems getting smarter? Our Integrated Intelligence™ learns from mistakes in the registration process and then re-calibrates business rules and optimizes workflow to deliver better results. Stop reacting to errors and start preventing them. AccuReg has taken our Front-End Revenue Cycle solutions even further with Integrated Intelligence™. Our highly sophisticated rules engine and predictive analytics wrap around your entire patient registration process to identify errors in real time and prevent future denials. The hardest part of the revenue cycle begins with scheduling to registration – long before the patient arrives in your facility. If one piece of data is incorrect, the claim will be denied. Even if you have an automated registration tool to help you, if it’s not adapting, it’s just costing you money. Automatically audit 100% of your patient registrations for hundreds of client-specified error types. Produce accurate patient registrations that result in clean claims.